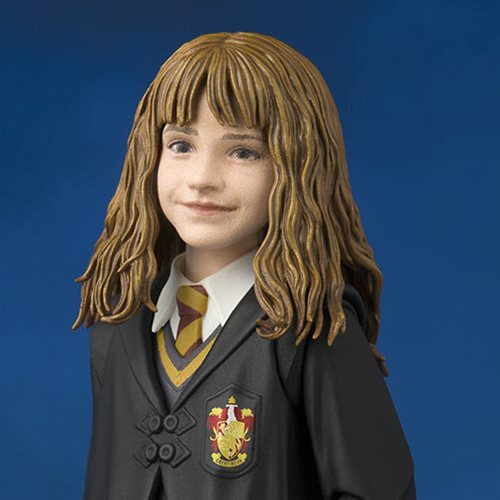 Harry Potter's friend Hermione Granger joins the SH Figuarts series! 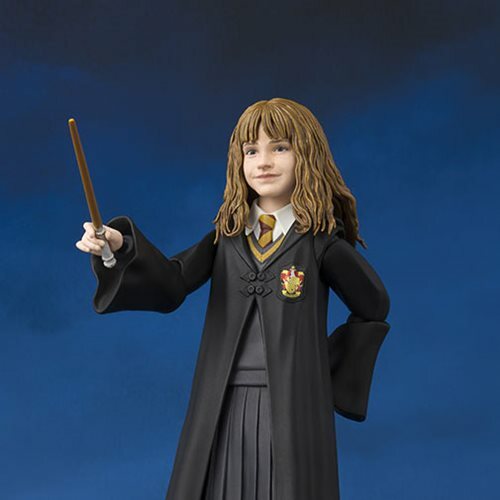 This accurately sculpted, digitally colored, and highly posable action figure comes with a magic wand, a textbook, a purse, and the Sorcerer's Stone. 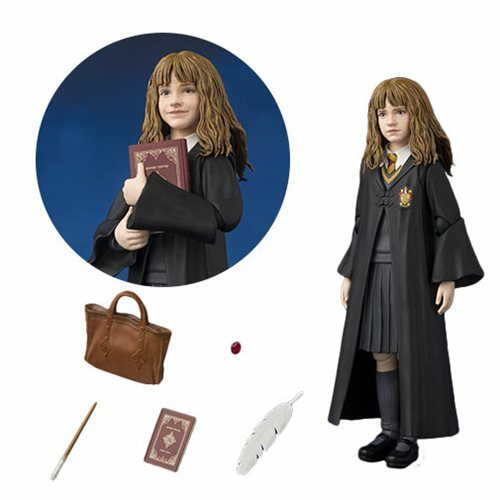 The Harry Potter and the Sorcerer's Stone Hermione Granger SH Figuarts Action Figure also includes optional facial expression part, three pairs of optional hands and a feather accessory. Measures about 4 7/10-inches tall. Ages 15 and up.